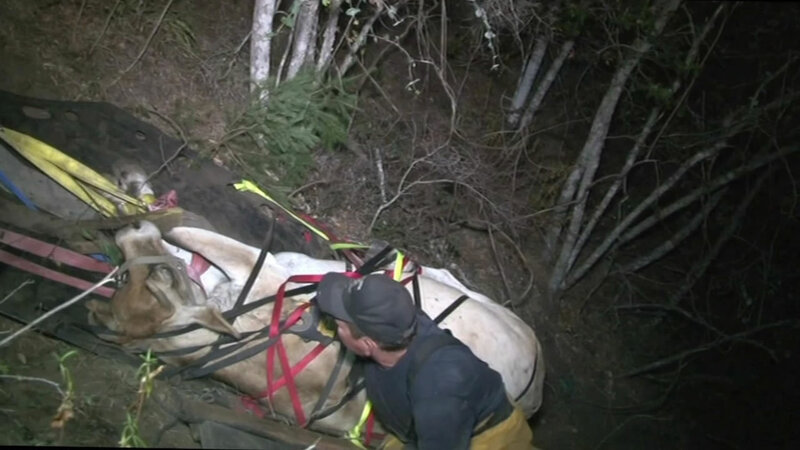 SONOMA COUNTY, Calif. (KGO) -- Volunteer firefighters took part in an unusual rescue in Sonoma County. They're trying to free a family's cow named "Tiny," after the bovine tumbled down a hill at a ranch on Mountain Home Drive. The rescue started late last night. Large animal rescue specialists also helped with the heavy lifting.